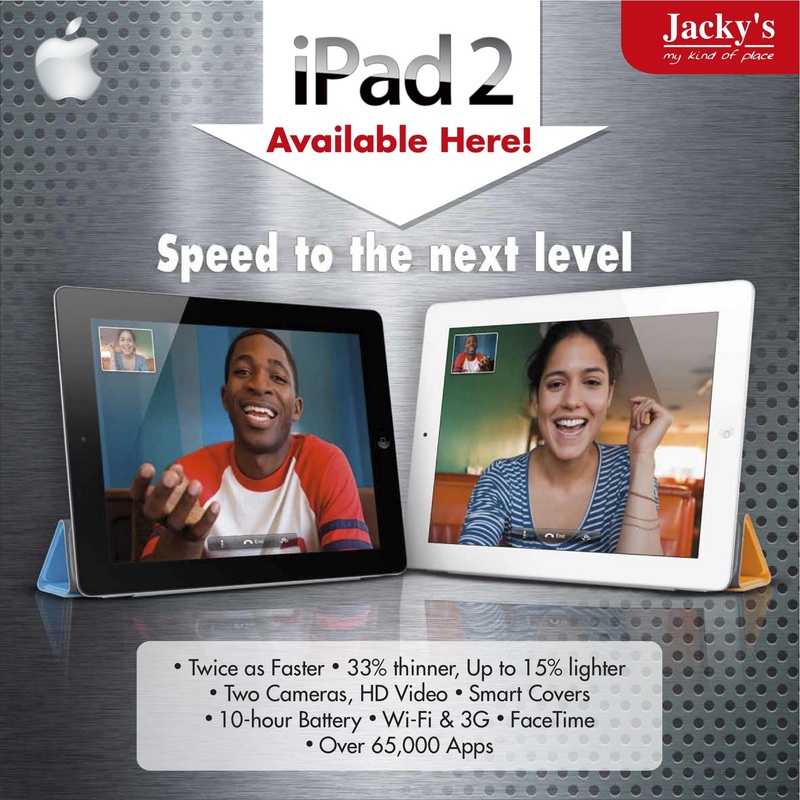 This Thursday (18th March, 2011), we got our first shipment of Apple iPad 2's in stock and we rushed them straight to our retail outlets as soon as they landed. While there's been a lot of excitement regarding the iPad 2, the fact of the matter is that there is a severe shortage and demand far exceeds supply at this stage. 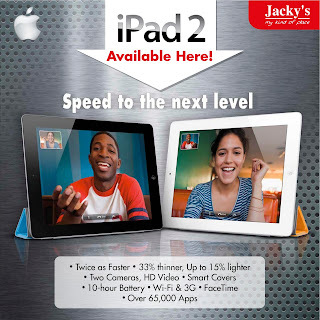 Till date the iPad 2 has only been officially released in the United States (launch day was March 11, 2011). Apple will release the iPad 2 in 26 more countries on March 25, 2011, however, the UAE is not one of those countries that we can expect to see it in at that time. The only way to procure an iPad 2 at the moment is either from an Apple Store in the US, an official Apple retailer in the US or from Apple's online store in the US (which is currently mentioning a three to four week lead time on any orders placed today). The above three methods of getting stocks are the only way we can procure stocks. Currently we're buying stocks from traders in the US who are literally lining up outside Apple Store's in the US and buying stocks at full retail price. Due to the unprecedented demand for the iPad 2, we're buying these stocks at whatever price they'll sell them to us at, which at the moment is at prices much higher than Apple's official retail selling prices. (Gulf News had a story on this which can be seen here). In addition to this, we're having to factor in costs of shipping, customs duties and warranty which all play a part in determining our selling price. Are we happy with the current pricing of the iPad 2? No. However, we had the option of either not selling the iPad 2 right now or buying it at ridiculously high prices and onward selling it here. We figured that most people who wanted an iPad 2, even at these prices, would procure through any means, so why not get it through us. Our buying team is working extremely hard to scout out the best deals on iPad 2's at the moment and the hope is as supply increases, we can see prices come to more realistic levels but until then we're trying our best to cope with the situation. This is also why we're unable to advertise prices for the iPad 2 as we honestly don't know what our costing is like until each shipment lands and it could be cheaper or more expensive than the next one that comes in, so prices are likely to fluctuate at the moment. Until then we can understand the frustration that many of you are feeling. We do appreciate all the feedback we're getting, whether it be positive or negative. Please do share your experiences with us and where we've had to take up issues based on your feedback over the weekend with our individual retail outlets, we've been doing that immediately.